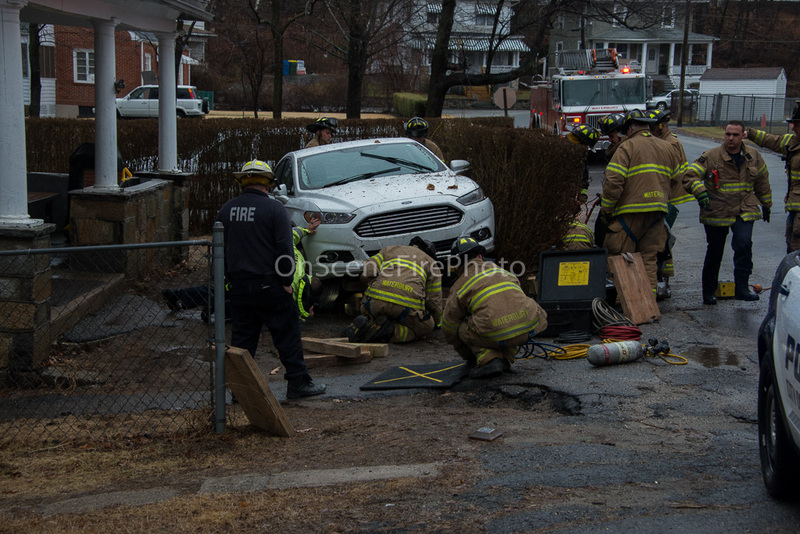 Waterbury Fire Department was called to the scene ofan MVA to assist the PD with a dog trapped under a car. The assignment included Engine 6, Truck 2, Rescue Engine 1, and Car 5. Companies arrived to find young dog trapped under a car in the front yard of the residence. They utilized airbags and cribbing to lift he car off of the frightened dog who escaped without injury. One member of Engine 6's crew unfortunately was bitten during the rescue effort and required treatment at St Mary's Hosp.